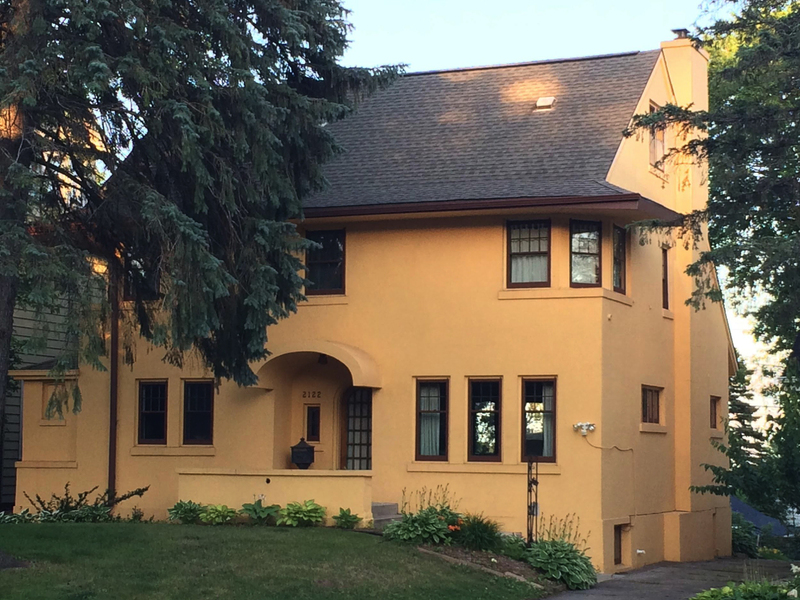 This Arts and Crafts style house, built by Richard Hanson in 1913 with designs from architect Abraham Holstead remains a fine example of eclecticism in architecture at the beginning of the twentieth century. The entry, which features a small foyer leading to a grand vista overlooking Lake Superior, takes a note from designs of Frank Lloyd Wright. The living room and adjoining sunroom are floored with deep red quarry tile, and the living room also features a wall of leaded glass bookshelves. The butler’s pantry and kitchen cabinets are original, and the dining room contains a working electric bulb heater, fountain, and original chandelier. The billiard room in the basement has a raised viewing deck with fireplace for observing billiard games. Original owners Rollo and Mildred Chaffee lived in the house for more than 50 years. Rollo was a local attorney from New York instrumental in the preservation of land now part of the Boundary Waters Canoe Area and Superior National Forest. His wife Mildred served as director of the Duluth Girl Scouts Council and the Fannie Bailey Olcott Girl Scout Camp in Half Moon Lake, MN. The owners today, Chad Conrad and Amy DeLong, maintain the home in its original splendor.